Having been around for so long and being a stalwart in the small car class, the new Honda Civic 1.8 sedan is an excellent, modern car that does everything really well. Sometimes hiding behind the more popular Corolla and Mazda 3 the Civic has done it tough over the years, however, for those in the know, the Civic is every bit as good as these two rivals and provides a higher level of status. New for this year, Honda has brought out the Civic with a 1.5-litre Turbo model as well, but it’s likely that the 1.8-litre models will sell in greater numbers. Where the 1.5-litre uses turbo-charging, the Honda Civic 1.8 uses a naturally aspirated SOHC i-VTEC engine that feeds the power to the front wheels via a very smooth CVT gearbox. On the road, the charming VTEC power delivery is strong and lusty, with the best acceleration found higher in the engine revs. This said, the 104 kW engine delivers excellent everyday performance, with the comfortable and supple chassis doing an excellent job of carrying occupants from A-to-B in confidence. Shod with 215/55 rubber, you have plenty of grip for hanging on in the corners, though the 1.5 Turbo feels a little sharper with its tauter chassis setup – but it’s a trade-off, I’d be happier in everyday long trips with the softer ride quality of the 1.8 Civic sedan. Another plus when you own a new Civic is that you can bet that it will provide superior fuel economy. It’s no different with the latest Honda Civic 1.8 sedan; this is another class leader in the fuel consumption arena – you can expect between 6-and-7 litres/100 km on a regular basis. 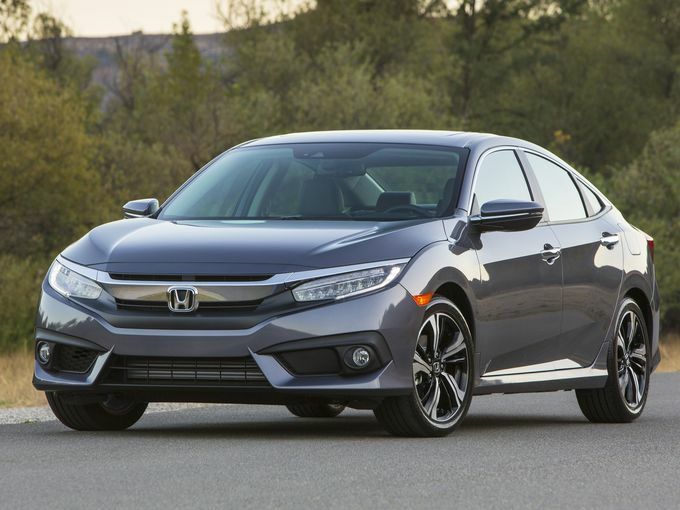 When it comes to the Honda Civic 1.8 sedan’s exterior design, the look is fresh and modern. Some may argue that the back end looks a little frumpy, but the taillights look good and so does the fastback roof-line design. A nice set of 16-inch rims look classy, while round the front of the new Civic there is plenty of focused design and balanced detailing with muscly wheel arches that add to the cars on-road presence. Excellent night driving vision comes from the powerful automatic halogen projector headlamps that wrap around the front corners of the new Civic. LED daytime running lights are standard. A nice safety touch that also looks classy is the wing mirror indicators. Body coloured door handles are standard. 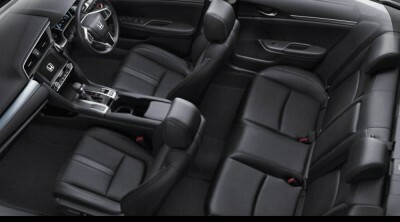 Step inside the Honda Civic 1.8 and the cabin looks very sophisticated and modern. You can even pre-warm the car on a cold day with a remote engine start. A walk-away auto door lock feature is a nice, practical feature but the keyless entry is an equally nice and easy boarding pass. Sit yourself down in the supportive cloth driver’s seat and everything is nicely situated across the dash for easy access and ergonomic guidelines. The full colour digital LCD display looks really good in light blue tones. Steering audio buttons with electrostatic switches and cruise control are standard 1.8 Civic features. The leather bound steering wheel is a nice size, looks superb and fits snuggly in the palms for a relaxed, controlled time behind the wheel. In the centre of the dash is a high-tech 7-inch touchscreen that accesses the car’s audio, satellite navigation and other useful info for making the journey well-informed and entertained. The car’s sound system is a good one, and with eight speakers you can bet the sound is excellent. MP3, iPod, 2 USB ports and HDMI are some of the other modern features. Automatic climate-control is standard, and the rear air-conditioning vents work really well. There are plenty of electrics in this new Honda Civic 1.8 sedan, so the windows and wing mirrors are powered – along with the eight-way adjustable driver’s seat. The hands-free telephone with voice recognition is pleasant to use and is ideal for keeping in touch with friends and work colleagues. Slide the car into reverse, and the seven-inch dash display automatically switches to the view behind the car via the rear reversing camera. This is a great safety feature. Speaking of safety, the new Honda Civic 1.8 sedan comes with six airbags (dual front, side, and curtain). VSA, ABS, EBD, BA, Hill Start Assist are all standard items and keep the Civic at the forefront of its class for dynamic active safety features. An electronic parking brake with an auto brake hold and a multi-angle reverse camera with ultrasonic sensors and tilt sensors are also standard. Five-star safety is a given. Behind the wheel of the Honda Civic 1.8 sedan you feel comfortable, and the class leading leg room for rear seat occupants along with the great ride quality makes this a very good choice for those who are on the lookout for a well-equipped, brand-new mid-size sedan. 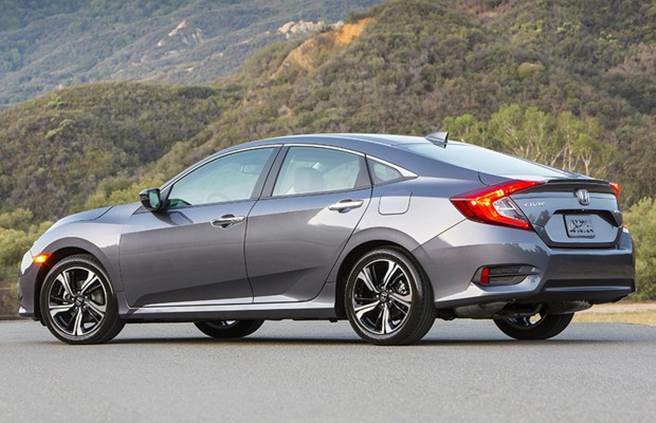 There is definitely a lot to like about the latest Civic sedan. For any more information on the Honda Civic sedan or, for that matter, any other new car, contact one of our friendly consultants on 1300 303 181. If you’d like some fleet discount pricing (yes even for private buyers! ), we can submit vehicle quote requests out to our national network of Honda dealers and come back with pricing within 24 hours. Private Fleet – car buying made easy!